This is a stone carving use for the decoration of a small yan ping (see our other entries; yan ping and again yan ping). Yan Ping is part of the Chinese stationary, it is designed to be used as a screen for shielding the ink well from drying. 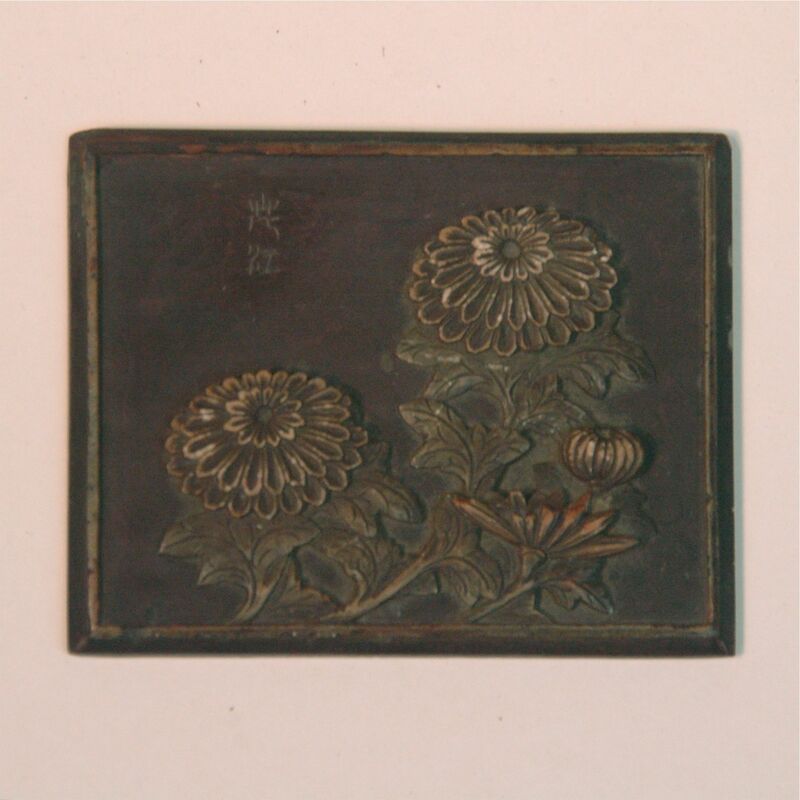 The carving is a relief of the chrysanthemum flowers from a small piece of stone, the slight polish gave the flower its shading and tones.